The process of crafting successful ad copy can make even the most experienced search marketer’s blood run cold. Luckily, we had our eyes peeled for the most hair-raising Halloween paid search ads to get your imagination boiling and bubbling for your next holiday campaign. 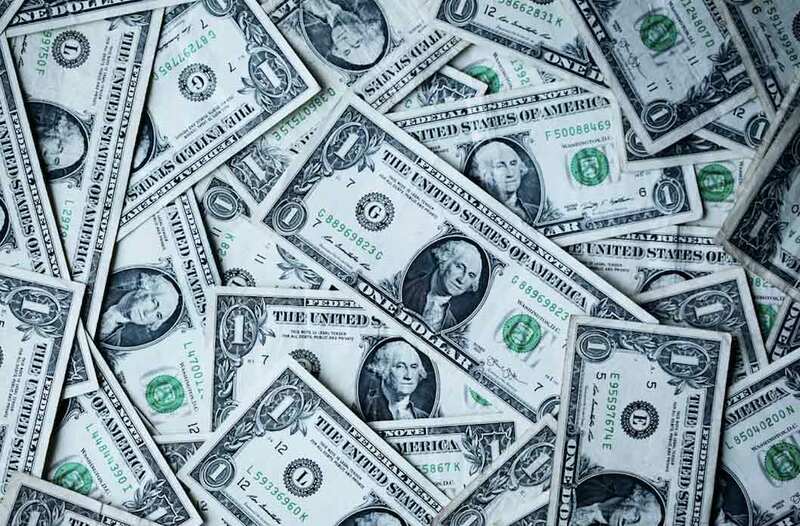 The process of building successful ad copy is a blend of art and science that can have a significant impact on the ROI of your paid marketing efforts. Taking advantage of proven techniques like playing off scarcity, leaning into your brand’s weaknesses, leveraging buyer pain points, speaking empathetically to your audience in a natural way, optimizing your ad copy to target the right part of the buyer funnel, and not being overly creative can make or break a time-sensitive holiday campaign. Let’s check out some examples of a few Halloween ads that sent shivers down our spine. Hopefully they don’t come back to haunt us..
FOMO (the fear of missing out) is a strong driver for many people. If potential customers are informed that this deal isn’t going to last much longer, they might be more compelled to click (and buy) right away. Some examples of scarcity in ad copy could be ‘1 day only sale’ or ‘act fast, deal ends soon’. In a great example of scarcity, Baxter Boo encourages all dog owners to get a little something for Fido this Halloween – but the deal ends soon, so don’t delay! Bonus points for use of compelling ad extensions and a clear, easy to remember coupon code. Amazon PPC ads tend to be fairly basic, but this one for Rimmel caught our eye. The ‘limited edition’ collection of makeup products means customers will have to shop soon in order to get the look they’re hoping for on Halloween. 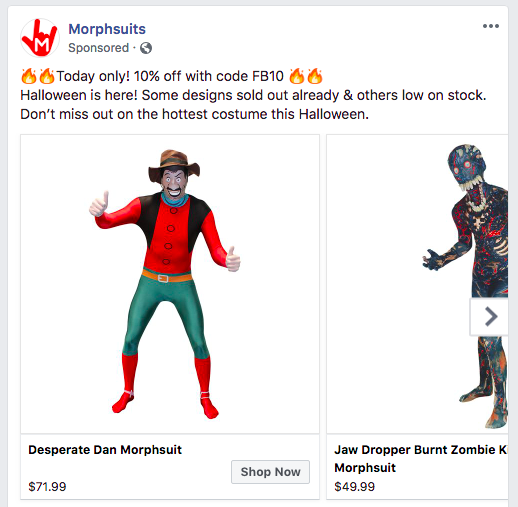 Morphsuits stepped up their scarcity game with this Facebook ad advertising a one day only sale for 10% off their skin tight one piece suits/costumes. Complete with not one, not two, but four fire emojis, anyone viewing this add new this fire sale wouldn’t last long. Every brand or product has a weakness, and usually consumers are more than aware of that weakness. 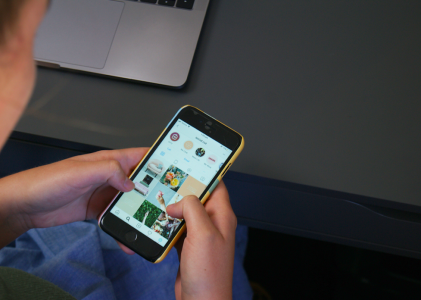 But in an age where authenticity and transparency are king, people appreciate brands that address and ‘lean in’ to their perceived weaknesses. Finding that opening and using it to your advantage can result in campaign successes. Pillsbury knows they are no gourmet foodie brand, and they own it. 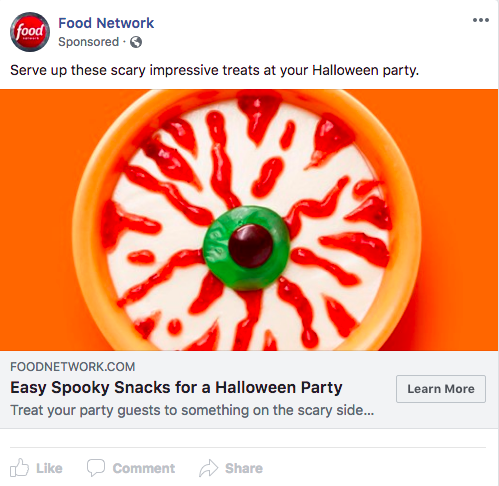 They aren’t going after the Martha Stewarts of the Halloween world, they’re speaking to everyday people who only have a few minutes to get the snacks ready between pumpkin carving, costume emergencies, and candy shortages. Value Village is a second hand/thrift store that leans into what some people may feel are weaknesses. Charity case? Try ‘Good Deeds’. Cheap? How about ‘Great Deals’. Hand me downs? More like ‘Thrift Store Chic’. Bonus points for nearby location address and hours. 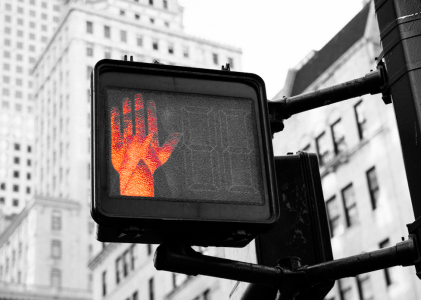 Addressing (or not addressing) buyer pain points can be the difference between a sale or a loss to the competition. In the examples below, buyer pain points were addressed upfront to make sure potential customers know their purchase will be hassle-free. 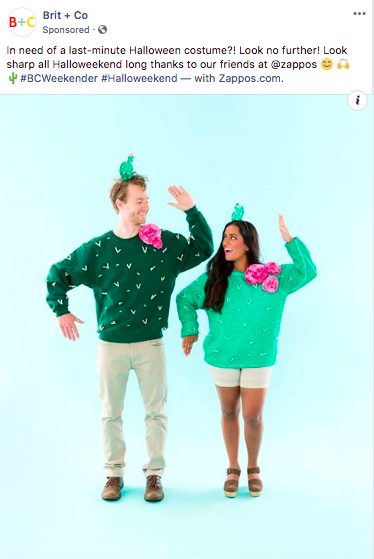 Oya Costumes clearly knows Canadians’ biggest buyer pain point: slow, expensive shipping. But no fear trick or treating canucks – Oya has fast and free shipping available. Costume Supercentre addressed the same issues facing Canadians, with the added pain point of currency conversion and added cost. No worries here, they take loonies. Halloween Happening in 3.. 2..1..
We’ve all been there – waking up a few days before Halloween realizing you never got a costume and panicking because you already RSVPed to 3 parties on Facebook. Brit + Co (and Zappos) addressed this very pain point in their Facebook ad targeting all those last minute ghosts, goblins, and cacti. Everybody wants to be understood. And every buyer wants to know who they’re buying from understands their unique needs. A generic ad trying to cater to everyone will never be as successful as an ad that hits on the exact ask of the user’s search intent. We were looking for Halloween candy online and this interesting ad showed up. For anyone who doesn’t want to simply hand out generic grocery store candy, the ‘retro, foreign and rare’ section of the headline is a real eye catcher. This ad knows exactly who it’s targeting: those who want to have the coolest, sexiest look on Halloween. With the added value of 30% off, NYX can help their target customer slay Halloween. 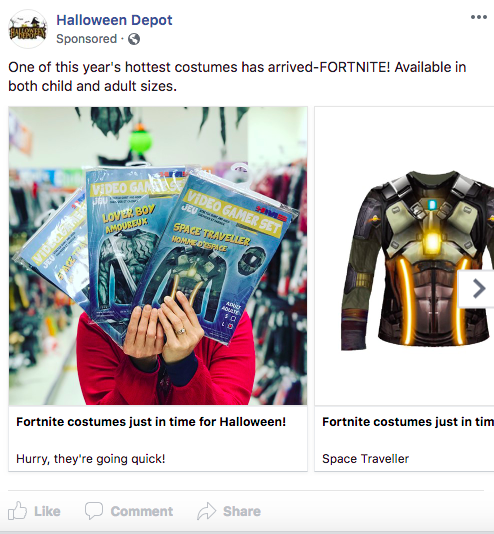 This Facebook ad by Halloween Depot makes one thing clear: if you need a Fortnite costume, they got you. Bonus for their use of scarcity in the CTA! Taking a page from the content marketer’s playbook, these ads are writing for humans, not machines. Overusing techniques like Dynamic Keyword Insertion when it might not make as much sense can make your ad feel robotic instead of welcoming. If You Don’t Over-Decorate for Halloween, Do You Even Exist? Halloween Haunters had us at ‘skeletons, spiders, and ghouls, oh my!’. That’s the kind of human touch that can really speak to potential buyers deciding where to buy their spooktacular Halloween decor. On a similar vein, Canadian Tire chose to write ad copy that was a little more playful than the average ‘get your Halloween decorations here’ copy, while still clearly stating what they are advertising. Ok, the pun could use some work for sure – but, the flow of the language used feels authentic. Bonus points for the brief caption and eye-catching (eh) visual that simply and effectively gets the point across. To stand out from the crowd, our instinct as marketers is to be as creative as possible. But with PPC, creativity often doesn’t win. Usually, the ads that simply point out the benefits of the product/service are the ones who come out on top. Sure, the paid search marketer at Giant Tiger snuck in ‘scary deals’ in the headline (who could resist?) but overall this ad gets straight to the point with no tiger fluff. Ice T + Busy Philipps + Pumpkins = Halloween success. 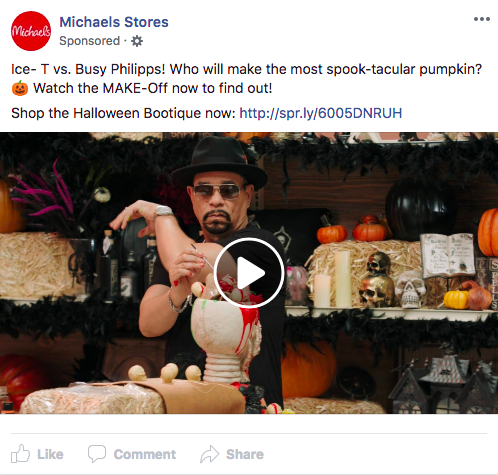 Someone at Michaels deserves a creativity award for this Facebook ad. Bonus for the subtle ‘bootique’ in the CTA! Hopefully your pulse has returned to normal and your blood is back to room temperature after checking out these Halloween paid search ad wins. Taking advantage of proven ad copy techniques can make all the difference in your upcoming holiday campaigns.